Augustiniana is a peer-reviewed scholarly journal devoted to the study of Saint Augustine, the Augustinian Order, Augustinianism and Jansenism. It was founded by N. Teeuwen OSA, and became a platform for international research under the lead of T.J. van Bavel OSA. Augustiniana est une revue scientifique avec comité de lecture, pour l'étude de Saint Augustin, l'Ordre des Augustins, l'Augustinisme et le Jansénisme. Fondée par N. Teeuwen OSA, elle est devenue une plate-forme pour la recherche internationale sous la direction de T.J. van Bavel OSA. 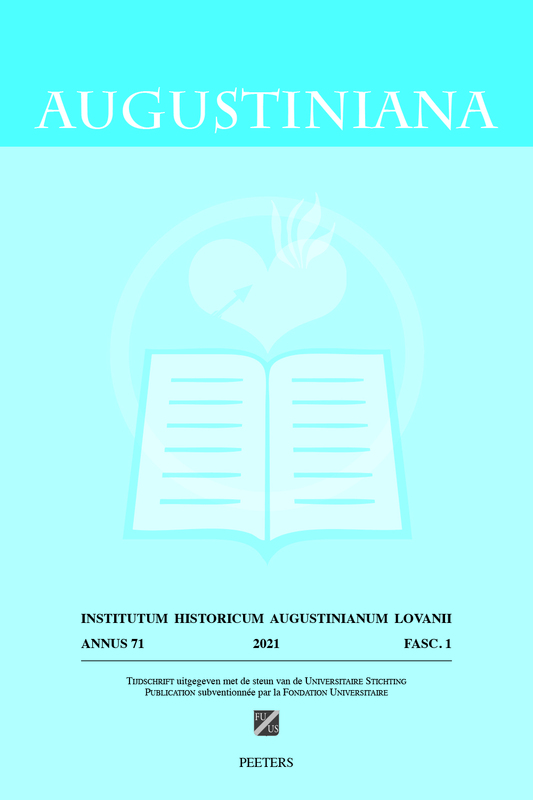 Augustiniana is abstracted and indexed in ATLA Religion Database; Index Theologicus; L'Année Philologique; International Bibliography of Periodical Literature on the Humanities and Social Sciences / IBZ online; ERIH PLUS (European Reference Index for the Humanities and Social Sciences); Scopus. Augustiniana is a peer-reviewed journal.